This was our second New Year’s Eve in Cuenca Ecuador, but I was sick last year so we didn’t leave the house. 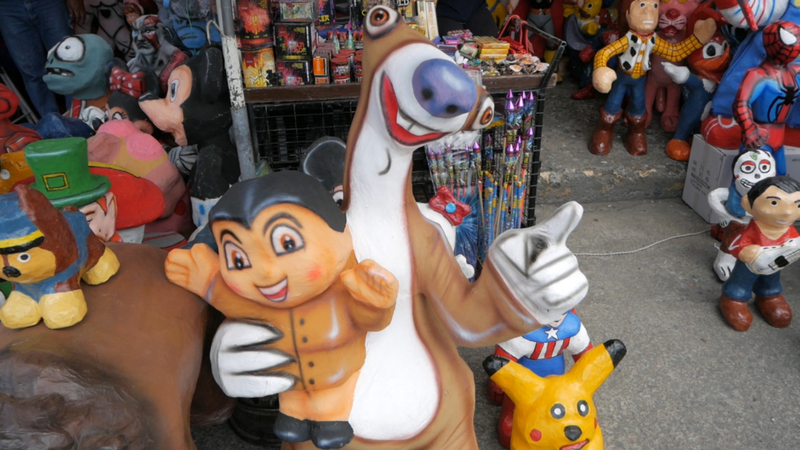 This year, we logged over 15 miles walking around Cuenca looking at the monigotes. 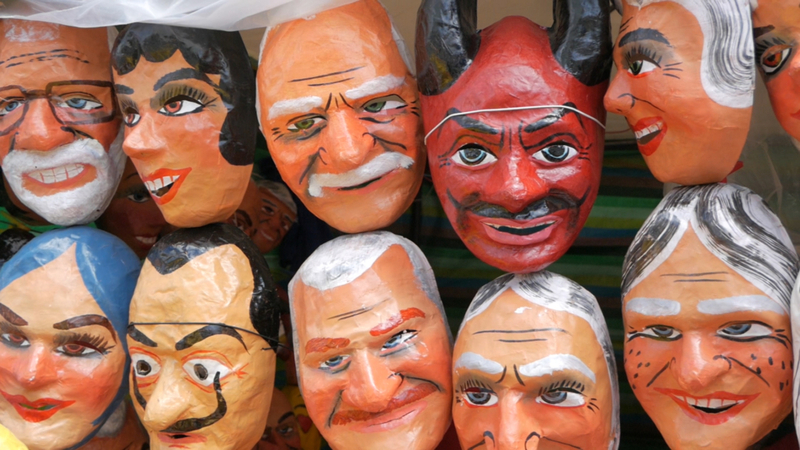 If you’d like more background on the monigotes, or effigies, check out our last video: Preparing for New Years in Cuenca with Monigotes and Black Eyed Peas. 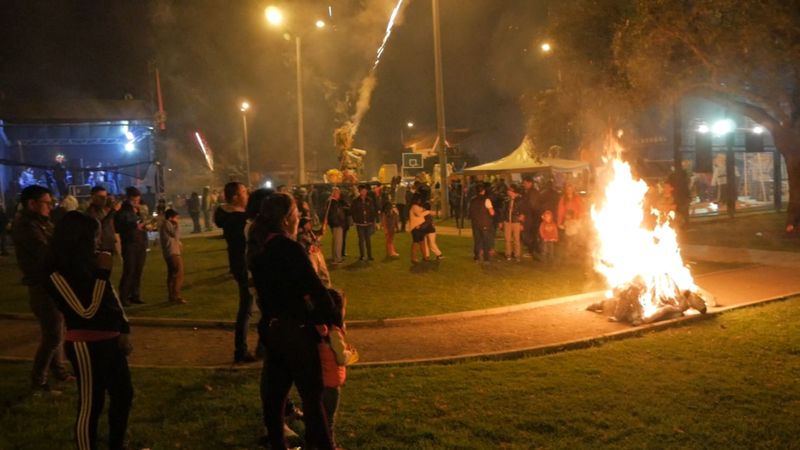 Each neighborhood has a monigote contest and the winning monigote gets set on fire at midnight. We weren’t sure where to go for the best viewing, so we decided to wander around El Centro in the afternoon to find the best spot. After seeing a couple of displays, we headed back home to eat dinner and do some research online about where to go. Lucky for us, Amelia found that our neighborhood of El Vergel has a great New Year’s Eve party and monigote display, so we left the house around 8:30 PM to go check it out. The party was already in full swing with live music and lots of monigotes. Since it was still early, we decided to walk back down to El Centro to look for more of the displays we found online. We also saw lots of men in drag dancing in the streets and collecting money. The funniest ones were the men dressed like indigenous women dancing in the streets. We’re not sure what the money went to, but they were very entertaining. After walking up and down the streets in El Centro for a couple hours, we walked back home for a snack and then back down to the park in El Vergel to countdown the new year and see the monigotes set ablaze. It’s hard to describe the atmosphere, and the video doesn’t do it justice. At midnight, everyone sets their monigotes on fire with fireworks exploding all around and people throwing firecrackers and other fireworks up in the air and into the crowds. Small children were lighting fireworks and throwing monigotes on piles of other burning monigotes. 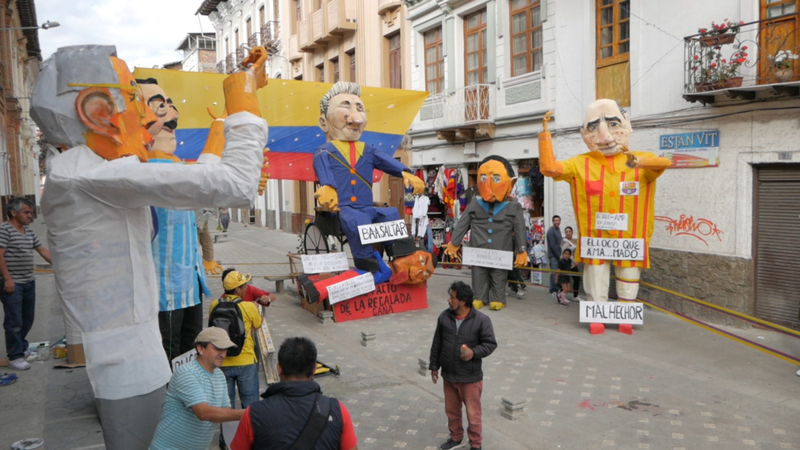 In the US, none of this would be legal or allowed, but it’s “tradition” in Ecuador and other Latin American countries. The Cuencanos will be ready for armageddon because they live through it every year on New Year’s Eve! going to light them tonight. There’s not a lot happening yet. doing a lot of New Years Eve prep. and making dinner before we head back out. on our way to El Centro. we’ve ever seen the park this empty. There’s.. I see TWO people! >> Man in Drag: ¡Gracias! to see who has the best one. is the best, El Vergel. Because they have a band and we can hear..
and maybe dance a little bit. >> Announcer: Diez. Nueve. Ocho. Siete. Seis. Cinco. Cuatro. Tres. Dos. ¡UNOOOO! >> A: That was super fun! boy, El Vergel really delivered! >> JP: Yep. It was like armageddon. >> JP: We had fires..
>> A: Yes. Happy armageddon. >> JP: But there were fires everywhere..
>> A: It’s so smoky right now. 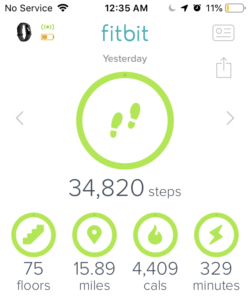 and it’s still going strong. so you guys can see it on New Years Day. >> A: JP forgot and.. I forgot to turn our alarm off. >> A: It’s been an awesome day. 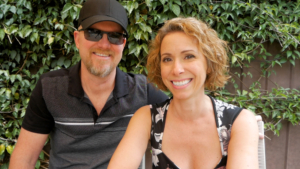 Great 2018! I’m super excited for 2019! >> JP: Yep. Happy New Year everybody! >> A: Happy New Year! ¡Feliz Año! >> JP: ¡Feliz Año Nuevo! And please subscribe.. ring that bell. of all our upcoming adventures. planned for 2019 as well. >> JP: We do. Alright. >> A: It’s very exciting! >> A: Happy New Year! This video turned into a New Year tradition video, with a blending of Latin American culture and Southern US culture. 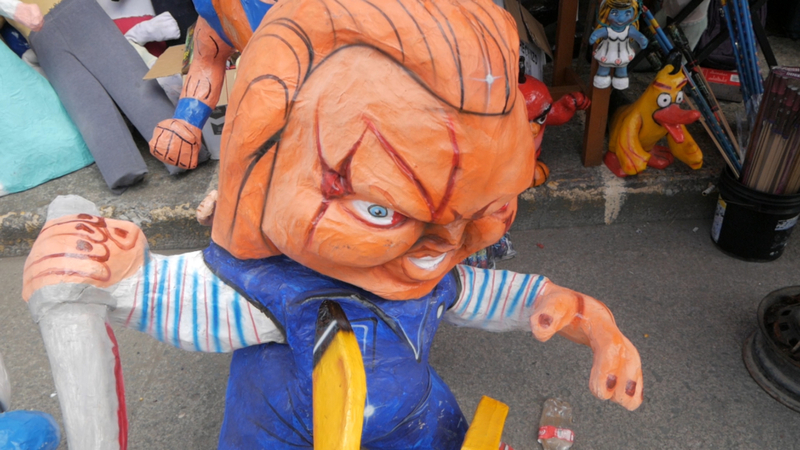 Each year on New Years Eve, Ecuadorians and people throughout Latin America burn monigotes in the street as a way of casting out the old and welcoming in the new. 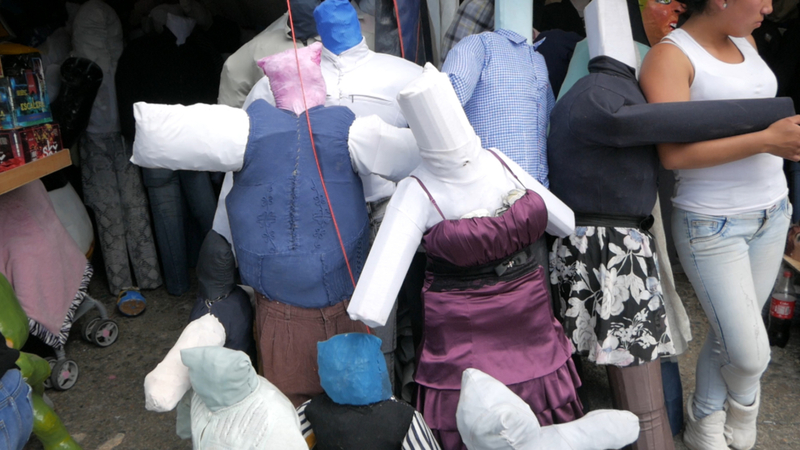 The word “monigote” literally translates to ragdoll, but a more accurate translation would be effigy. They’re also called Año Viejos, which translates to Old Year Things. 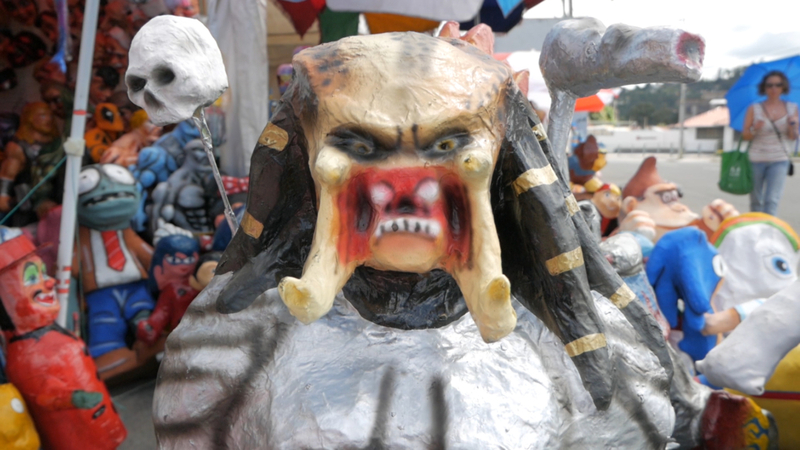 The monigotes are made of paper-mâché or fabric and usually filled with straw or sawdust. Some are also filled with firecrackers so when they’re burned, they make quite the show and they’re very noisy. We’re looking forward to venturing out on Monday night (New Years Eve) to film the burning of the monigotes in El Centro. We’re not quite sure what to expect, but we’re guessing lots of people, fires and smoke. Stay tuned! My family (JP’s) comes from Missouri, which is a southern state where Black Eyed Peas are considered good luck to eat on New Year’s Day. 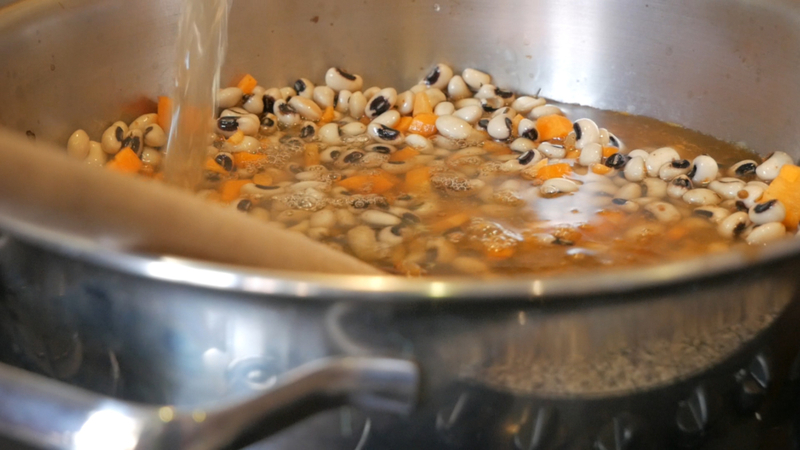 There are several theories/myths about this tradition dating back to The Civil War, and even though we’re not superstitious, it can’t hurt to eat some delicious Vegan Black Eyed Peas on New Year’s Day!